There’s right much cooking around here! Beyond what’s in the pan and on the grill, we’re trucking along with the planning and prototyping processes for improvements that will be introduced at the O.Henry and Green Valley Grill when these wonderful twins turn 20 later this year. We’ll give you an earful on that with our next letter, plus I (Dennis) touch on these topics with my Rambling on a separate page, which is mostly about how we each expand our Frame of Reference (FOR) by traveling and exploring. Read on and you’ll learn about some special happenings that we hope you’ll enjoy and get a summertime recipe. 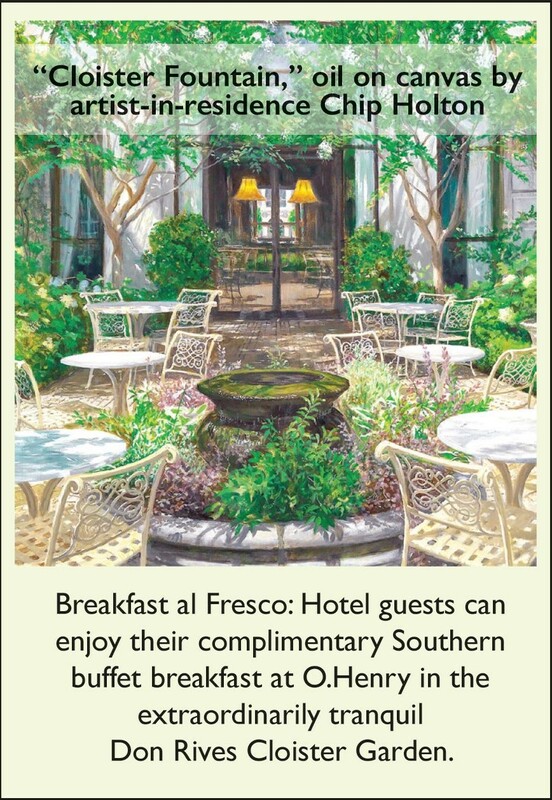 FYI: We are waking up our outdoor rooms from their long winter’s nap … come have a refresco al fresco. We are honored that you enjoy our places and that you choose to receive these letters. If you don’t want to keep receiving them, please email us at qwrhinfo@qwrh.com. 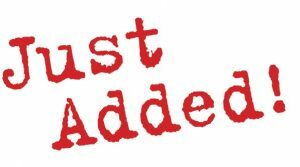 Conversely, if you wish to receive more frequent news, please sign up on any of our websites (all listed on the back page), Facebook, Instagram or Pinterest. BTW: We love feedback. If the spirit moves you, please share the good stuff on websites such as tripadvisor.com. If we goofed something up, we want to know about it right away. Please email us at feedback@qwrh.com or call the various numbers at the tail end of this letter. Just an aside: The pronouns “we” and “us” seem appropriate because, though I (Dennis) write most of what is in these letters, many people contribute to them. —Cheers!! 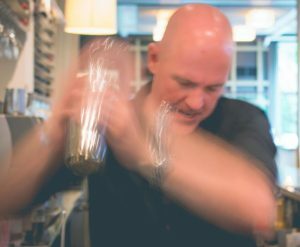 With summer around the corner, we sat down with Print Works Bistro and Green Valley Grill Executive Chef Leigh Hesling to talk about the good stuff he is looking forward to getting from local farmers during the peak growing season. 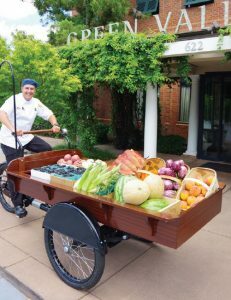 Chef Leigh Hesling on his Veggie trike! A micro farmer’s market at GVG. Q: What are some of your favorite summer garden foods? Leigh: Tomatoes, corn and peaches: those three. But it’s a tough question, because frankly, once it’s growing season, I love it all! All of the garden-fresh food has applications that you absolutely cannot beat. Q: Tell us more, tell us more … about tomatoes. Leigh: As far as seasonality goes, tomato is king, right? I mean, you can’t get an out-of-season tomato that will stop you in your tracks … but when they are in, they will change your life. Pretty much every year, we get the greatest number of compliments about our heirloom tomato plate. People lament the passing of tomatoes going out of season each year. And it’s, like, three ingredients: It blows my mind! The nature of things is that the more seasonally appropriate an ingredient is, the less you want to do with it. When something is naturally harvested when it’s ripe, and spends less time after coming off the tree, bush or vine before it gets to the plate, it’s so much better. Chefs really celebrate that kind of taste: Why go to a bunch of work to over up something when it’s already awesome? Our motto: The nearer the farm to the folk (in minutes and miles), the better the flavor! Q: Next up, corn. What do you love? Leigh: I’ve always loved corn—it’s so versatile. I put corn everywhere. One thing I laugh about every year is when I ask our new service staff members, “Who hates creamed corn?” A lot of hands go up, because they were force-fed creamed corn out of a can at some point in childhood. Then I’ll say, “Guess what? I’m putting creamy corn on the Green Valley Grill menu.” It’s freshly made with a little bit of cream. We partially purée some of the corn and mix back in the whole kernels, and it’s just earth-shatteringly good. So I get to convert a lot of people every year! (I share the recipe on the back of this letter). I like to serve it with seared scallops and a cilantro pesto… I’m salivating for that right now. Q: How do you choose what type of corn? Leigh: It’s funny … I don’t look for any particular variety, I just want good, tasty yellow corn. People always laugh when I say this, but at the market, I’m looking for the corn that isn’t perfect. If it looks like it could be used for a photoshoot, it’s probably been treated with pesticides; if it looks too perfect, it probably is too perfect. I recently got to make hominy from scratch for the first time—and it’s an interesting process. You start with pickling lime (in the olden days, you’d use the powdery ash out of the cooking fire) and soak the corn in it for 24 hours, breaking down some of the insoluble fiber in the corn and releasing nutrients that are healthful for your body. Pretty fun stuff. Q: What about peaches? This is the South! Leigh: I mean, I grew up on a peach orchard in the deep, deep south, near Cairns in the northern part of Queensland, Australia! I got spoiled growing up there—everything grows there—and there’s nothing quite like being able to walk into your backyard and pick a ripe peach off the tree to eat it with the juice running down your arm. It seems like such a simple thing, but these days it seems that not a lot of people get to experience picking something off of a tree, bush or vine still warm from the sun and standing right there to eat it. It’s in all aspects of food producing—there were things that were normal, everyday occurrences on the farm, but now I have to contrive a situation to expose my kids to them. It’s unfortunate. Q: What are recipes you plan to use this summer for the great peaches you hope to find? Leigh: Every year at Green Valley Grill we make a peach crumble cheesecake—it’s so good, it’s awesome. We’ll muse that same peach crumble and make it into peach crumble French toast—that’s pretty epic. Peaches make a great fresh salsa on a fish dish too, or with goat cheese in a fresh salad. You just can’t beat that fresh taste. You’ll find this great peach salsa on our fresh fish du jour at both Green Valley Grill and Print Works Bistro. Leigh: North Carolina has the best strawberries. We were so lucky last year to have an extended strawberry season. This year Green Valley Grill is making the life changing strawberry crostata, and at Print Works Bistro we’re featuring a strawberry Bavarian. We’re actually doing nothing to the strawberries themselves—they’re that good. At Green Valley Grill, our pastry department will be turning out homemade strawberry ice cream, seasonal strawberry curd for afternoon tea and strawberry French toast for brunch. To learn when Chef Leigh Hesling puts these favorites and other delectable summer dishes on the menu, sign up to receive news at qwrh.com. We’ll also share information about his upcoming cooking classes and wine dinners. You can find recipes at greenvalleygrill.com or printworksbistro.com. Check out … by checking in! Pretend you traveled farther than you did, and start cooling your jets as soon as you arrive. O.Henry and Proximity are offering a special weekend rate of 10% off the Best Rate plus a $20 restaurant voucher when you book directly with us using promo code POP20 on our websites at OHenryHotel.com and ProximityHotel.com, or call Proximity at 336-379-8200 or O.Henry at 336-854-2000. Available Friday – Sunday nights through September 3, 2018, including Memorial and Labor Days. Then experience a culinary excursion of extraordinary local food and drink at Print Works Bistro, Green Valley Grill or Lucky 32 Southern Kitchen. Explore fascinating history, world-class art and peaceful parks in Greensboro. Whet your appetite and tickle your fancy by reading on for things you can enjoy right here at our places. It feels like a hug just walking into the Bluebell Garden at the Proximity. Give us a heads up and we’ll serve the good stuff from Print Works Bistro in this garden or at the pool. Afternoon tea in O.Henry’s Social Lobby is the real deal, including phenomenal treats and finger sandwiches. Nearby, there are great walking, biking and hiking trails. The Bicentennial and Bog Gardens are a stone’s throw away (if you are David!). Here’s an idea: Order a picnic from Lucky’s and make a date out of it! BTW: Both hotels have loaner bikes for hotel guests. The bars at Green Valley Grill, Print Works Bistro and Lucky 32 Southern Kitchen are anything but ordinary—craft cocktails, boatloads of wines by the glass, bar menus that change seasonally, bartenders that are pros, great sound systems with extraordinary playlists curated by Jessica Mashburn and generally wonderful environs. We think you’ll be delighted. If you want to get out and about, you also might enjoy a day trip to some nearby wineries. Whoever invented brunch deserves a Nobel Prize! Room service brunch just takes it up even another notch: Who doesn’t like to dine in a bathrobe? Right many of our brunch selections change seasonally. At Print Works Bistro right now, killer French toast and our eggs Benedicts delight. Starting at 9 AM on Sat. and Sun., Green Valley Grill has house-made warm scones, avocado toast (available gluten-free), salmon pizzette and more! At Lucky’s, try Southern traditional features with a twist—fried green tomato & bacon Benedict and our Locavore Delight, featuring locally sourced sausage, eggs, grits and jam…oh my! Greensboro Symphony starts their season Sept. 20, 2018, with a celebration of Leonard Bernstein’s centennial. Guilford College’s Bryan Series starts their season with David Axelrod and Karl Rove on Sept. 13, 2018. Learn more about these at OHenryHotel.com/greensboro and ProximityHotel.com/greensboro. Also, we’ve created the following packages at O.Henry and Proximity in the interest of extending the magic that can flow from these events. Ask us about our Eastern Music Festival Package, Folk Festival Package, Greensboro Symphony Package and the Bryan Series Package. Book at OHenryHotel.com/offers or ProximityHotel.com/offers. 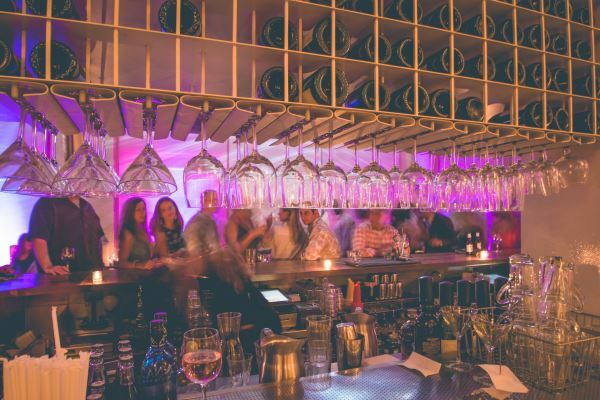 Chef Leigh Hesling and his cadre of crafty culinarians will fuss over two incredible wine dinners at Proximity Hotel, each featuring four courses paired with blow-you-away wines. Get tickets online at PrintWorksBistro.com. Premier Cru designation, second only to Grand Cru, represents an exclusive small fraction of wine from the Burgundy region of France. We’re lucky to have an ambassador from Taittinger Champagne and Maison Louis Jadot Winery on hand along with Chef Leigh Hesling for this unique dining experience. $270 plus tax (includes service charge). Print Works Bistro: Each Wednesday it’s live music, mussels and wine specials. On the first Friday of each month it’s a late night Pop-Up Dance Club! Liz Cooper from Fess Parker Winery will be on hand with Chef Leigh Hesling to guide you through this dinner benefiting The CARE Project, an organization that brings hope to those with hearing loss. $100 plus tax (includes service charge and a donation to The CARE Project). Take the elevator home with a special Wine Dinner Rate of $209 at Proximity. For reservations, please call 336-379-8200! Available June 8 and July 25, 2018. Just for you, we added a special cooking class at O.Henry Hotel on July 28, 2018 at 6:30 PM! Chef Leigh Hesling will prepare three courses using fresh local ingredients, pair them with wine and share plenty of cooking tips, laughs and recipes. $85 per guest. Order tickets online at GreenValleyGrill.com. After the class, take the elevator home with a special Cooking Class rate of $209 at O.Henry Hotel (Available July 27 or 28, 2018). For reservations, please call 336-854-2000! Curator Victoria Clegg collaborates with musical artists-in-residence— Dave Fox, Neill Clegg and Matt Kendrick— to select amazing artists backed by extraordinary vocalists and musicians. You’ll hear Great American Songbook and other jazz classics, blues and soul, plus surprises including an abundance of original compositions. No cover charge! Stop by any Thursday night for Cocktails & Jazz from 5:30-8:30 PM, or select Saturdays for our O.Henry Jazz Series from 6:30-9:30 PM. Enjoy seasonal tapas and handcrafted cocktails in the Social Lobby during all jazz performances. 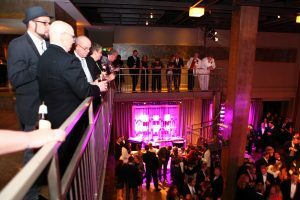 O.Henry and Proximity Hotels offer events ranging from weddings, luncheons, swanky receptions, intimate (even theatric) dinner parties and grand galas to office parties and corporate retreats. Our catering team and crafty culinarians work collaboratively with you and your team, to imagine, then create, bespoke environments and menus. We use seasonal food that is really restaurant food, not banquet food. While we do traditional event design exceptionally well, we also create dramatic environments that will blow your guests’ minds (several key members of our events teams have theater backgrounds). If you can think of it, chances are, we can pull it off! Stop by or call us at (336) 478-9111 and let’s imagine how to create the impression you want and get the details just right. Seasonal packages are available for weddings, meetings and events, check them out at ohenryhotel.com and proximityhotel.com. 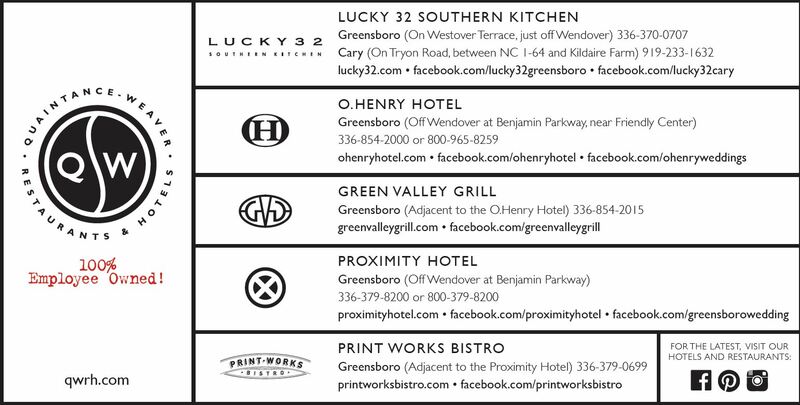 Visit GreensboroDreamWeddings.com to see the latest design tips and trends featuring weddings at Proximity and O.Henry Hotels. Picnic? 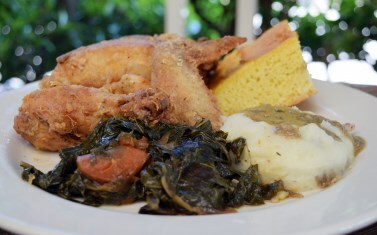 The culinarians at Lucky’s are always whipping up some wonderful a la carte options for family gatherings and picnics. Our housemade pulled pork, artichoke dip, collard greens, pimento cheese, trademark dressings and wonderful soups, just to name a few, are available by the quart or pint, along with Lucky’s full menu options. Just give us a call to place your order (Greensboro 336-370-0707 or Cary 919-233-1632) then pull into one of the designated parking spaces and we’ll bring the good stuff to you. All you need is a blanket! It’s that easy. … folk who might enjoy playing restaurant and hotel! Please refer people that may want to become a part of our team to QWRH.com.